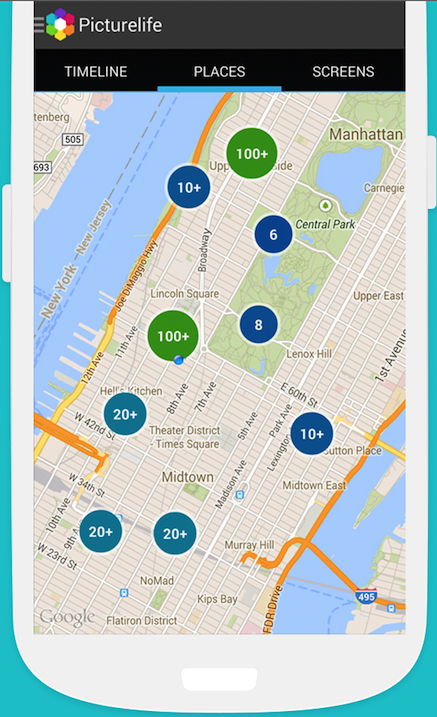 View your favorite memories anywhere you go by installing and logging into our free mobile apps. View all of your uploaded photos, backup your mobile photos to your Picturelife library, and share your favorite memories with friends and family - all within reach anywhere you go! Picturelife offers a mobile app for Android 4.0+ and iOS 7. Picturelife for iOS is a free app, available in the iTunes App Store. Picturelife backs up your Android's photos and videos in the cloud and smartly organizes them. Compatible with any Android 4.0+ device. Install Picturelife for free by clicking on this link from your Android device: Picturelife on Google Play! No login required: Take Picturelife for a spin – including sort options you’ve been waiting for – without creating an account. A cleaner lay out: See a new look when you organize pictures by Faces (refreshed grid view) or Places (refreshed map view). 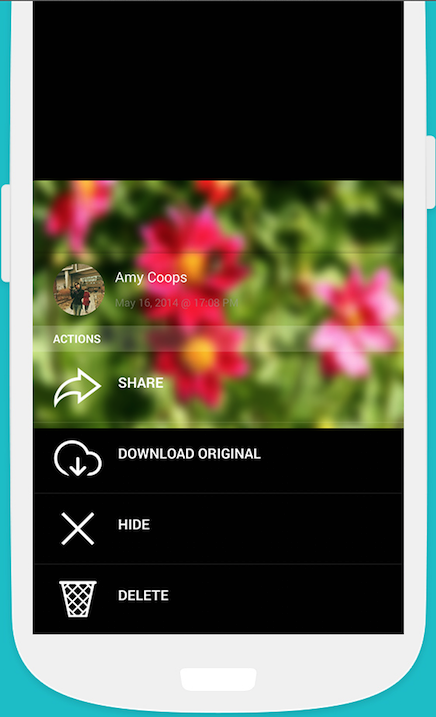 Share and view pictures in other apps: Open your most loved pictures in other apps, including Instagram and WhatsApp. Travel anywhere: Places! You asked, we listened. It’s the fastest way to find a photo that was taken right where you’re standing, or taken halfway around the world. Work offline: Flip through the pictures you love and rediscover memories anytime – no wi-fi required. 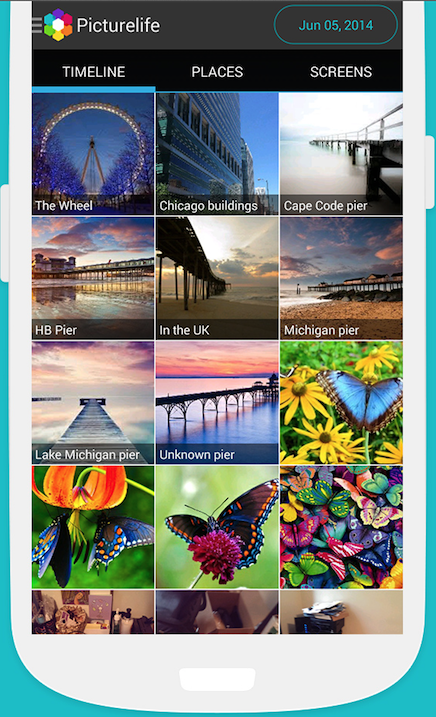 Sort smarter: Organize pictures with new options, such as Faces, Favorites and Screenshots. Please note that Faces and Favorites is not yet available in Android. Are all Picturelife photos put offline? What about if I have limited storage capacity on my iPhone? Please tell me that the memories lookup for iOS is going to be added to android? Without memories, the iOS app would be a little useless...unless I knew where it when I was looking for. The memories lookup allows for a daily reminder of this day in history, and is the only reason I open my picturelife ap almost daily. I am about to switch to an android phone and just realized this absolutely critical lookup isn't there. Or at least I couldn't find it? Noticed a typo. "... where or when I was looking..." Is what it should have said. So much focus on IOS, I'm worried that the Android users will be left behind functionalitywise, or maybe just get ports of the IOS apps. There's a FAQ for IPhone and Ipad, but none for Android, is it because the IOS app is harder to use... unlikely. Hi Kristian, well actually, we are progressing more quickly on Android than on iOS right now :). We do have a beta version of what the next version would look like, with its integration to the StreamNation platform. Would you like to test it? Glad to hear it, I was getting worried. I would love to help testing the beta.